Spend your next quiet day in comfort with floor heating. A noiseless heating source that radiates from your floor. With floor heating you avoid forcing air through dusty air ducts. Next time you sit back to relax, do it a warm, clean, and cozy room. U.S. 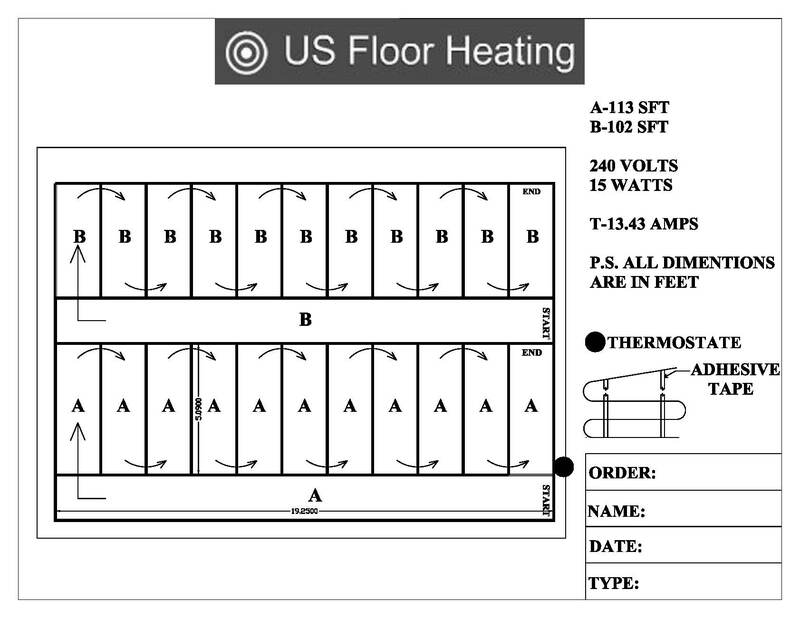 Floor Heating offers free layouts with Electric Floor Heating packages. Easy Installation and Cost Effective! Our floor heating mats have been engineered with the DIYer in mind, this ensures you will always have an Easy Installation! We provide you a custom engineered layout, designed specifically for your dimensions, so you know exactly how/where to layout the mats. The flexible mats are then easily arranged and have adhesive strips to ensure they stay in place, all this is easily done without any specialty tools or materials. Installing Solarium radiant floor heating has never been So Easy! Environmentally friendly and cost effective! The cost of running 1watt of our floor heating mats is more efficient than running 1watt of a standard light bulb. Affordable and efficient, our floor heating pricing is simple. Bringing radiant floor heating to your home has never been so cost effective. Go Green with radiant floor heating in your Solarium and Save Money! Made Price Easy and Flexible. Want to talk with us regarding your Solarium radiant floor heating or any other heated floor project you may have. Please feel free to chat with us or leave us a message if we have stepped away. Solarium Radiant Floor Heating. 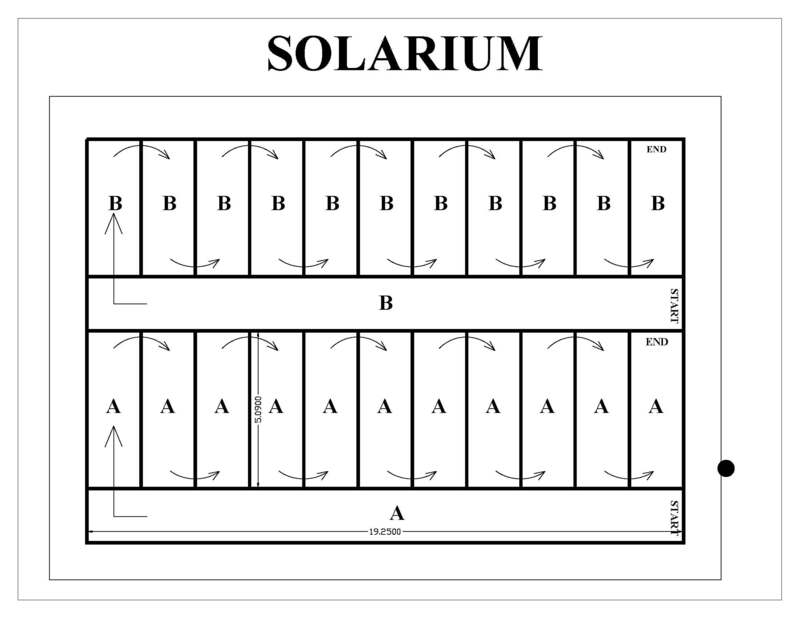 Within a solarium, a person will be able to enjoy the light that the sun emits. Within a solarium, a person will be able as well to enjoy the view of the stars at night. A solarium may in fact prove to be one of the most favorite rooms in a home. A solarium is often not as comfortable as expected by the home owner and the rest of the residents in the home. One main reason for this is the cold floor that the residents will have to face every single time they step on the floor in the solarium. Manufacturers have been thinking of a way to get rid of this problem or, at least, minimize it. This is why people know the solarium radiant floor heating system today. This is a very comfortable technology that is also quite invisible when completely installed. Yet, it has proven to be very reliable as well as convenient in terms of providing heat for a specific room or rooms. As a matter of fact, the solarium radiant floor heating system may prove to be the best system that people are able to find to date. It works in such a way that is not similar at all to how the conventional heating system, the air-forced system, works. With this new floor heating system, people will not have to get annoyed by the radiators that keep on clanking at night making it hard for some people to get some sleep. Also, with the new floor heating system, there will not be any whooshing sound of working vents. This sound is in fact particularly annoying since it sounds like a jet plane that is getting ready to take off the airstrip. There will not be any dusty duct system to pass the air through either. Another good thing is that the solarium radiant floor heating system is pretty efficient in terms of using energy. This new floor heating technology is able to provide heat that spreads equally in the whole room by making use of the electric wires or tubes with hot water that are located under the floor. As a result, the area that surrounds people will not steal the warm from their body. U.S. Floor House can be contacted to find out more information.